of expressing a sweet concord of mind to each other, is by music. In the first Chapter of his Systematic Theology, the chapter in which he sets out his theological method, Charles Hodge warns against two methods that are in his judgment unsatisfactory; the Speculative, and the Mystical. 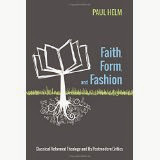 These very different approaches to the construction of Christian theological doctrine have one thing in common. They each impose on Scripture, the only authentic source of Christian doctrine, norms from outside. He mentions Anselm’s work on the atonement, Cur Deus Homo? as an example of Speculative theology, for in that work Anselm seeks to establish the necessity of the atonement from reason alone; or at least, from reasoning that is based on a few plausible theological principles. In the case of Mystical method he particularly mentions Schleiermacher, who believed it to be the duty of the theologian not to systematize theology from Scripture, but to construct theology from the Christian consciousness. Hodge had studied the work and influence of Schleiermacher at first hand during his time in Germany, 1826-8. In the Systematic Theology he conducts a sustained critique of Schleiermachian theology, not only its method, but also its theological fruits. A glance at the Index shows that he takes the German theologian to task for (inter alia) his views on divine omnipotence, omniscience, divine holiness, the Trinity, inspiration, Christology, Soteriology, and the post-mortem status of human beings. This feature of the Hodge's Theology – its assessment of post-Kantian German Protestant theology - is one reason, perhaps the main reason, why it is wrong to consider Hodge’s work as a mere repristination of Turretin’s Institutes of Elenctic Theology, which was the textbook used at Princeton before the arrival of his book. We may surmise that it was his desire to have such German theology assessed for the benefit of his students that was one reason for him writing the work. So legitimate and powerful is this inward teaching of the Holy Spirit, that it is no uncommon thing to find men having two theologies, - one of the intellect, and another of the heart. The one may find expressions in creeds and systems of divinity, the other in their prayers and hymns. It would be safe for a man to resolve to admit into his theology nothing which is not sustained by the devotional writings of true Christians in every denomination. 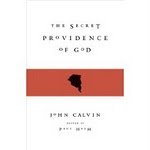 It would be easy to construct from such writings, received and sanctioned by Romanists, Lutherans, Reformed, and Remonstrants, a system of Pauline or Augustinian theology, such as would satisfy any intelligent and devout Calvinist in the world. When in Berlin the writer often attended Schleiermacher’s church. The hymns to be sung were printed on slips of paper and distributed at the door. They were always evangelical and spiritual to an eminent degree, filled with praise and gratitude to the Redeemer. Tholuck said that Schleiermacher, when sitting in the evening with his family, would often say ‘Hush, children; let us sing a human of praise to Christ’. Can we doubt that he is singing those praises now? To whomsoever Christ is God, St. John assures us, Christ is a Saviour. (II.440 footnote). What is Hodge saying that hymn-singing may reveal and express what a person’s developed theology may not? At this point I'm tempted to launch into a diatribe against those who think that Charles Hodge was a child of the Enlightenment, a rationalist, a pure intellectual, a religious scientist. But I forbear. In any case, it’s immediately obvious what a serious distortion that is. If you are still in doubt, read the last page of Ch. 1 of his Systematic Theology. (His critics never seem to read that far.) My aim instead is to try to answer the issue raised by Hodge's remarks about hymn-singing. Here’s what I think. Beginning at the most abstract level, Hodge is saying that the Fall, which disrupted and disorded the image of God in man, continues in the life of the Church. Regeneration, which brings new life and light, does not immediately heal that disruption. So Paul’s ‘law’, that ‘when I want to do right, evil lies close at hand’ finds expression not only in moral desire and action, narrowly understood, but in all the operations of ‘right reason’. Such a person wants to subject himself to Christ in his word, but may find that he cannot, or cannot easily do this. The reason why unregeneracy, ‘the flesh’ in Paul’s special sense, cannot easily do this may be because of a person’s background, or his intellectual training, or the effect of party spirit, or of ambition, for example. Just as a person can be all head and no heart, or all heart and no head, so he may be part head and part heart, but in such a case his head part may out of kilter with his heart part. So what happens? What Hodge thinks happens is that in such a case, where (in a regenerate person) the intellect is blocked, or is taken over by various factors, the forces of regeneration nevertheless find their outlet in what he calls the ‘religious consciousness’, the ‘renewed heart’. He gives the example of the experience of being ‘sold under sin; of being its slaves; or being possessed by it as a power or law, immanent, innate, and beyond our control’. This experience is Spirit-given and Spirit-driven. But because of the disruption, the disjunction between head and heart, these teachings of the Spirit may find expression not in exact doctrinal formulae, but in devotional writing, not in the strict cognitive language of doctrine, but in that language of aspiration, and the use of such language, devotional language, in worship. Such language, note, is not simply an expression of vague sentiment or religiosity, but it is that from which, as Hodge puts it, one could construct ‘a system of Pauline or Augustinian theology’. Such people subscribe to these beliefs as long as they are singing, but (strange though it may seem) deny them when they study. Is this weird? Yes, it is weird. Does it happen? Yes, according to Hodge, it does. The recognition of this disjunction between heart and head, the presence and working of ‘mental error’ in the construction of Christian theology, is a recurrent strand of Reformed theology, though one to which (so it seems to me) little attention has been given. Here are three other examples, from three different centuries, the latest first. Try to guess who the authors are. (1) ' Heretical notions may occupy Christian men’s heads, leading to error of thought and practice and spiritual impoverishment; but these notions cannot control their hearts. As regenerate men, it is their nature to be better than the unscriptural parts of their creed would allow. Hence they are inconsistent; it is good that they are. In this case, Christians in the liberal camp have adopted a position which logically makes reason, and not Scripture, their final authority. But just because they are Christians and have the witness of the Spirit, it is not in their nature to follow this anti-Christian principle to its logical conclusion – which would be to dismiss as incredible all that is incomprehensible, and so to deny the whole Christian faith. Regenerate men can never do that. Hence we find that they are in practice inconsistent'. (2) 'How far a wonderful and mysterious agency of God’s Spirit may so influence some men’s hearts, that their practice in this regard may be contrary to their own principles, so that they shall not trust in their own righteousness, though they profess that men are justified by their own righteousness—or how far they may believe the doctrine of justification by men’s own righteousness in general, and yet not believe it in a particular application of it to themselves—or how far that error which they may have been led into by education, or cunning sophistry of others, may yet be indeed contrary to the prevailing disposition of their hearts, and contrary to their practice—or how far some may seem to maintain a doctrine contrary to this gospel-doctrine of justification, that really do not, but only express themselves differently from others; or seem to oppose it through their misunderstanding of our expressions, or we of theirs, when indeed our real sentiments are the same in the main—or may seem to differ more than they do, by using terms that are without a precisely fixed and determinate meaning—or to be wide in their sentiments from this doctrine, for want of a distinct understanding of it; whose hearts, at the same time, entirely agree with it, and if once it was clearly explained to their understandings, would immediately close with it, and embrace it: — how far these things may be, I will not determine; but am fully persuaded that great allowances are to be made on these and such like accounts, in innumerable instances; though it is manifest, from what has been said, that the teaching and propagating [of] contrary doctrines and schemes, is of a pernicious and fatal tendency'. (3) 'Men may be really saved by that grace which doctrinally they do deny; and they may be justified by the imputation of that righteousness which in opinion they deny to be imputed'. The consequences of such an analysis of mental error for those of us interested in Reformed theology and its outworkings are too obvious to need stating.